“Help I am getting engaged, and I don’t know the first thing about diamonds!” Sound familiar? Then pay close attention! This article will help you outline the various beginners rules of buying an engagement ring so that you can find something your loved one can wear proudly while being a super smart consumer! So you’ve decided to get engaged – Congratulations! Buying an engagement ring may be one of the most substantial purchases that you will ever make; every time your sweetheart puts this ring on it will serve as the perfect reminder of the day you pledged your everlasting love and commitment. The first step once you’ve decided to make a ring purchase is to determine your budget. What someone chooses to spend (or not to spend!) on a ring is an entirely personal decision and there are a lot of aspects to determining one’s budget from considering your other expenses to thinking about what would make your loved one quickly say “Yes!” While popular opinion says that the average someone spends on an engagement ring is two months salary, we recognize that this is certainly not feasible for everyone out there. To give you an idea of cost, the average size diamond purchased in the United States is 1.18ct which can run anywhere from $900 to $30,000 . The average spent is $5932. Given this information, thinking about budget is your opportunity to think realistically about what you’d like to spend. If this article is your first foray into studying diamonds, you may be wondering how you’ll know a good deal without becoming a gemologist. Whether you’ve done some research already, or are just getting started, you may be familiar with the Four C’s: color, clarity, carat weight, and cut. A secret that many people don’t realize is that consumers often get caught up in the size and clarity of the diamond that they forget about cut. The cut of the diamond should not be confused with a diamond’s shape. Modern cut diamonds have 58 facets in order to reflect any light that comes in through the top. When a diamond is too deep or too shallow, as light enters through the top rather than reflecting as brilliance and scintillation, any light cast upon it will filter out the sides and leave a vapid looking stone. Ever see a ring and think “wow that truly sparkles”? Unless you have a trained eye, what you’re probably seeing is the cut of the stone. Also of great importance but seldom mentioned, is the diamond certificate. Why is a certificate so important? 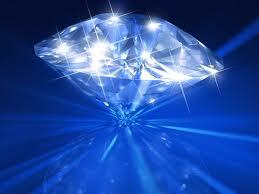 A diamond is priced primarily based on its color, clarity, and carat size. Since color differences are so subtle and inclusion placement can be the difference between a good or bad clarity grade, it is imperative to be certain the color and clarity grades are accurate. Grading is subjective – you should always ask to see a certificate. There are several independent grading companies that are only involved in the grading process without any involvement in sales. These include the International Gemological Institute (IGI) and the European Gemological Laboratory (EGL). Both are common at popular department stores because they are somewhat more lenient in their grading qualifications. The Gemological Institute of America (GIA) is the most respected independent grading company there is. A diamond with a GIA report will cost slightly more but for good reason. They are extremely strict when grading a diamond. 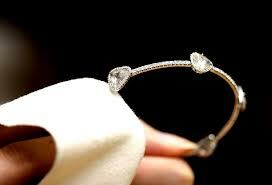 GIA also mandates that all diamonds given in for grading be conflict free diamonds. Now for the culmination of all of our C’s, we get to cost. How will you know if you are getting a good deal? Always buy a certified diamond. Make sure that it was cut nicely and sparkles properly. Don’t be afraid to shop around and ask questions. Every diamond is unique just like the person intended to wear it. When you find the right one (as I am sure you have figured out by now) you will just know! Feedback and/or questions can be directed to gardenstatejewelers@gmail.com. We would love to hear from you! How much should I be paying for a Diamond? Buying a Diamond might be the scariest thing after going to the dentist and a car mechanic. Why do I say this? Diamonds are actually priced and graded more than the popular 4 c’s clarity, cut, carat, and color everyone talks about. They are obviously very important but not everything. Picture this scenario a man walks into a Jewelry store with his future fiancee and she sees a Diamond she absolutely must have. The salesman goes on to tell this girl how beautiful the color and clarity are and how all her friends are going to be so jealous. The man is sweating from the forehead down he is praying that this salesman will have mercy when it comes to the price. He inches close to the counter and says sheepishly approximately how much does this stone cost, and he hears the answer no one likes to hear. “Don’t worry I’ll take care of you my friend” but he knows they are not friends and this guy just wants him to shut up and sell the girl a diamond. Finally he loses all his patience and says so tell me how much will this run me and he says an amount that absolutely sends him into shock. He feels like his heart might stop beating, His credit card, car, and cell phone payments are just a smidgen of what kind of debt he is going to be in. He as politely as he could possibly muster looks at his fiancee and says “sweetie do you need this particular diamond”? She immediately looks at him with disgust and says “What am I not Worth it?” He calmly retreats and says “yes hunny you are”. Then the alarm bells go off in his head and he wonders is this the price I should be paying? They taught us about clarity, color and cut, but what about the price? The answer is they never teach you how a diamond is priced because thats how they maximize their profits. However there is a price sheet for diamonds its called the Rapp Sheet every jeweler knows about this just like every car mechanic knows about the kelly blue book. You can actually ask the jeweler how much is this based on the Rapp Sheet and something miraculous will happen the price you pay will drop. You are now an educated customer. But you are not fully armed yet you need to know that everything on the rapp sheet is full msrp. If the diamond has flaws such as fluorescense or poor symmetry the price you pay should be less than a stone that has an excellent cut and no fluorescense. Fluorescense is the light blue color a diamond turns when it is exposed to a black light and make a diamond less desirable. If the poor groom in our story was armed with real information he could have saved himself so much heart ache. But be careful just because a diamond is very expensive does not mean its not worth it just make sure that if you are paying a healthy fortune the diamond mathces the price tag.